Here at Hallelujah Diet we are constantly seeking to understand health and nutrition. We know that we understand only in part. And we have made improvements to the Hallelujah Diet program based on continuing research. So, when a book comes along from a vegetarian doctor claiming to tell us “everything you thought you knew about your diet, your health, and your weight is wrong,” we checked it out. The Plant Paradox, authored by Steven R. Gundry, MD, came with some recommendation saying that it might help us understand what was “missing,” or “why the diet may not work for some.” Well, we try to help as many people as want to try the Hallelujah Diet, so we checked it out. Before we get into Dr. G’s claims about how harmful a plant-based diet loaded with lectins can be, let’s get a basic understanding of what exactly lectins are. Lectins are proteins that bind to carbohydrate molecules, and are found in almost all foods. Essentially, they help molecules stick together without involving the immune system, which could potentially influence cell interaction. No matter what type of diet you follow, it’s really difficult to avoid lectins unless you completely stop eating the foods containing them. Grains like barley, oats, rice, buckwheat, quinoa and spelt are rich in lectins. This also means that grain-fed animals, such as poultry and beef, are abundant in lectins, as are dairy products like milk, sour cream, cheese and yogurt. Even legumes, nuts, seeds and certain fruits and vegetables like corn, cucumbers, eggplant, peppers, pumpkin, squash and tomatoes have lectins. Plants contain lectins as a mechanism for defending against microorganisms, pests and insects. Additionally, lectins in plants and vegetables bind to seeds so they pass through the digestive system flawlessly when consumed by animals to support regrowth after digestion. Let’s get back into Dr. G’s plant paradox and why avoiding lectins isn’t the answer to enhancing your overall health and well-being. First, I don’t buy the war between animals and plants or evolution. In Genesis 1:29 God originally gave us the plant kingdom for food. My understanding of creation is that mankind is the crown jewel of all God created, and He put us in place to be good stewards of His creation. So, thinking that plants were made to be food for us just makes sense. There is a symbiotic relationship between mankind and plants, even indicated by their generation of oxygen for us and our generation of carbon dioxide for them. They are good for us and we are good for them. I don’t see a war here. So, I wanted to know if I could trust Dr. G. I can’t go interview any of his patients. I have no way of knowing if any of these stories in the book are valid. I assume so, but can I trust him to tell me the truth? Well, how does he do with things I can verify, like scientific references? I will give you a few examples and then let you decide for yourself. First, in the Introduction, page xi, I came across his referral to gluten as a lectin. Gluten a lectin? That was a new one to me. So, I went to PubMed and checked it out. Here I found a reference to a study that examined lectin activity in gluten. It turned out that “Our results indicate that the lectin properties of gluten are due to traces of WGA.” (Pubmed #3839672) WGA is wheat germ agglutinin, a lectin. Well, how about gliadin, a component of gluten complex in wheat? Maybe he meant gliadin? Another study showed conclusively that, “Gliadin preparations failed to cause agglutination of any of the cells tested, whereas established pure plant lectins were active cell agglutinins.” (Pubmed #3709069). Conclusion: gluten and gliadin are not lectins. Strike one for Dr. G. My suspicion is mounting. But maybe he is just a bit loose with the facts. Second, as I was browsing through the book on page 209 I came across his take-down of peanuts. I’m interested in knowing why you shouldn’t eat peanuts, so I read more carefully. As near as I can tell by reading through 2 of the 3 full-text references, the claims he made here are not derived from the sources he referenced. He claims, “94 percent of humans carry a preformed antibody to the peanut lectin.” I got the impression that the reference would be something about this idea. Instead, the research group investigated using PNA (peanut agglutinin, a non-toxic lectin in peanuts) as a way to identify adenocarcinomas in esophageal biopsies by histological examination. The abnormal tissue bound PNA, whereas normal tissue did not. In fact, Table 1 and Figure 1 in the article show the normal control subjects as having very, very low binding of PNA. This is exactly the opposite of Dr. G’s claim of 94 percent! Strike 2 for Dr. G. My distrust is growing, but still not sure. So, I went to the next reference in the paragraph and checked it out. The claim in the text is that lectin in peanut oil causes atherosclerosis in experimental animals, whereas peanut oil without lectin in it does not cause the disease (see p. 209). This would have been a great study to see. However, the reference is about identification of peanut lectin in someone who ate peanuts. I did not read the full-text of this article, not wanting to waste $31 on verifying this dubious claim. I found an abstract from the same authors and it looks like the same work (same title, too). In this study a person ate 200 grams of raw peanuts (not advised, who eats raw peanuts?) and peanut lectin was detected in his blood one hour later. This report has nothing to do with atherosclerosis or experimental animals or peanut oil. Strike 3 for Dr. G. He has not earned my trust. Do I trust Dr. Gundry to state the truth? No. Are the stories in the book true? I do not know, but I do not trust him. Knowing what I just told you, do you trust him? If you aren’t sure, you should read the blog article from T. Colin Campbell as well. This careless use of the scientific literature exists throughout the entire book. For a novel “change-your-mind-about-everything-you-know-about-nutrition” idea, you had better document your argument very well. There is no way his arguments could stand up to peer-review and get published. Only among nutrition-confused Americans can you write a book to bash healthy foods and make it a best seller. Are Americans really struggling with health from eating lectin-rich foods? Too much whole grain bread? Did we get fat by eating too much brown rice and beans and salsa? Too many tomatoes and sunflower seeds? Too much quinoa? Too much barleygrass juice? Really? While Dr. G claims that his lectin-free diet is essential to living your best life, we at Hallelujah Diet strongly disagree. Certainly, there are numerous foods with lectins that we recommend avoiding (for various reasons) but a plant-based diet is the optimal choice for improving your overall health and well-being. If you have an autoimmune disease what should you do? If you are overweight (after all, who isn’t in the USA?) what should you do? Making drastic changes in your everyday eating habits is the first step. The Standard American Diet is referred to as SAD for a reason: Consuming high-fat meats and dairy products, plus refined sugars and processed products in those ridiculous portion sizes is a recipe for disaster. Not only does this lead to weight gain, neurodegenerative diseases, a leaky gut and other debilitating conditions, but it can also impact your mental well-being, making you look and feel less confident about your overall health. If you want to make big changes and gain your health back, you don’t have to follow a lectin-free diet to achieve those results. A primarily raw, plant-based diet is the next route to take on your journey of life. The simple act of removing those unhealthy “foods” from your dietary habits and replacing them with fresh living foods like raw fruits, vegetables, whole grains, nuts and seeds is one of the smartest ways to gain back control of your health. To get started, you may consider a three- or seven-day juice cleanse, which consists of drinking at least two quarts of fresh vegetable juice each day for a week. If you need more assistance than that, you can try Hallelujah Diet Perfect Cleanse. This kit consists of a variety of supplements that can help you reclaim your health and get on the right track to start following a plant-based diet. From there, you can start eating more salads, smoothies and juices and incorporate some of our favorite fruit- and vegetable-based recipes into your dietary regimen. What is the best way to dramatically increase your vegetable intake? 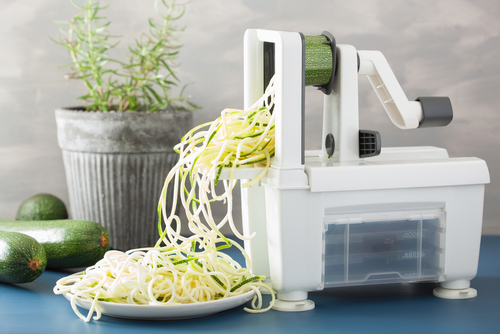 Here is a “secret” that actually works: Get a juicer and use it. Drink at least 16 ounces of vegetable juice every day (at least 80% vegetables / 20% fruit for best results). You can make twice as much every other day and store the juice one or two days. Use your blender and make green smoothies, too. Then follow the Hallelujah Diet or make gradual changes to get you there. If you follow the Hallelujah Diet you will dramatically improve your physical and mental health. Perfect health? No, not in this imperfect world, but yes, excellent health. We will continue to serve you and put forward real solutions to help you improve your health. We are here to serve you, so let us know how we can best do that. Yeah, Shirley, keep your head in the sand and continue to find evolution offensive. To some it’s easier to believe that everything came from nothing by itself, they leave it at that without question. To others they look around and know that all they see on earth and ski could not possibly have started from nothing. Did the same salamander which evolved into an man also evolve into a bird, a lion, did it also leave the sea and plant itself in the ground and become an oak tree. Which is easier to be-leave, everything came from nothing by itself, or it was all created? Only those with their head in a dark hole and weak thinking and logic skills could believe humans evolved from monkeys. By the way what is wrong being simply a more evolved monkey species? Resemblance is obvious not even to go into the details of the DNA. You certainly accept that cats, tigers and lions are members of a family? The fact that you would use a word like logic in the same sentence defending your creationist fairytale belief has me rolling on the floor……..Sorry Becky and others of her ilk, but the DNA proves it so. However, if it’s easier for you to believe in snakes, donkeys and bushes that talk, you have that right since ignorance cannot be legislated. No one is claiming that humans evolved from a monkey. The claim is that we share a common ancestor with another primate, the Chimpanzee. I realize most creationists find that thought offensive and are more comfortable with the idea of being created from a man’s rib who himself was created from the dirt of the earth as it is written in Genesis doesn’t change the truth. The mere fact that we now know that humans share 98.5% of the same DNA with a chimpanzee only confirms what the fossil record proved almost 160 years ago. That being that we share a common ancestor somewhere in our past just like a tiger and a house cat does today. Nearly every non-impaired person in the world, even some creationists, should be able to look at a domestic house cat, compare it to a tiger and can easily deduce that there is an obvious link between these two animals. Yet they only share 95.7% of the same DNA……. Hello? … Anyone home? In-fact, evidence shows that Chimpanzee and human DNA are more closely aligned than Chimpanzees are to apes, gorillas, orangutans or any other primate. Creationists; please try to base your beliefs on tangible things like facts and not on the mind-numbing brainwashed ignorance that was passed down to you from people whose hearts were probably in the right place even if their brains weren’t. The human race is divided into two different worlds- one guided by faith, superstition, feelings, intuition, and visceral emotions; and the other guided by science, reason, logic, deduction, analysis and evidence. 99% of the Abrahamic religions reside in the former, and sadly, they get to vote too. Michael – Your blind “faith” in evolution is ironic in light of your abhorrence to those who have faith in something else. There are a few questions still unanswered in the debate on the origin of human and all life and of all matter. 1. Not THE Missing LINK but Missing LINKS (Plural). If all of life evolved from lesser forms of life then we would expect to see countless examples in the fossil record but most importantly, we should see many LIVING examples of the missing links. So, we don’t only have a catfish and a bird, but we have 20 iterations/variations between those two but we do not. Darwin also believed that the fossil record would produce the missing links and if not he thought his theory would fall apart. 2. If we all came from less complex organisms through evolution, then it begs the question of where the less complex organisms came from. It keeps going back in time until you must come to the Unmoved Mover or simply the first thing that wasn’t acted upon. And there are countless arguments that make Evolution still a theory and unprovable and unknowable. You can say that you “believe” that the facts stack up in your favor and that you “believe” you are right. However, you would be committing a number of logical fallacies: post hoc ergo propter hoc, argumentum ad ignorantiam, ad hominem, and relying on Darwin ipse dixit. If we evolved from monkeys, how come there are still monkeys? Becky – what you stated is actually a huge misconception on evolution: humans did not evolve from monkeys. Humans/great apes and monkeys evolved from the same common ancestor (not a monkey), and evolutionary forces acted at the same time to produce monkeys and humans/great apes. Same thing happened with humans and other great apes; we share a common ancestor that was neither human nor a great ape, which is why we look and act similar to other apes (hands, feet, lack of tail, facial expressions, intelligence levels when compared to many non-primate animals, complex emotions, etc). Hope that clears some things up! Let’s imagine man coming along millions of years ago when a male sperm laying there on the ground swam over and connected with a female egg even though outside the human body both would likely die. Then outside of a womb it began to grow in the mud or in a puddle of water. It wasn’t attached to a uterus wall by an umbilical cord where it would be fed daily for nine months in a protected womb of a mother, but somehow it fed itself and began to grow. Nine months later a baby was laying there. It didn’t die from cold weather, predators, disease, or insects. Somehow it fed itself for a couple of years until it got up and started walking in a dangerous world. But of course we must give the evolutionist millions of years for this to develop. And thousands of animals would have also had to make this impossible leap if they developed outside of a womb. Or you can look at the highly designed human body and say there had to be a creator. This body consisting of a brain, a nervous system, a skeletal system, a reproductive system, and multiple organs all working together could have never been a result of time or chance. God created not from babies but full grown human beings and animals who were capable of reproduction. After their creation he said be fruitful and multiply. An intelligent powerful creator is the only explanation that makes sense. God started with time in his creation as Adam and Eve were created full grown adults as well as the animal world. Both began reproducing after their own kind and this has never changed. 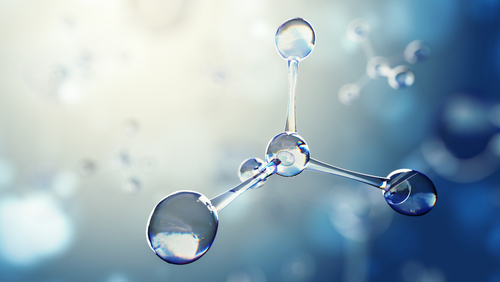 The evolutionist theory never makes sense because it has no logical explanation for the beginning of life. It just throws in its coverall statement that it took millions of years to get where we are at today. Dr. G is so often wrong or distorts research results so much that we certainly canNOT trust him. But we did evolve, and continue to, and this has nothing to do with his many errors. If you study biology at all, none of it makes sense without evolution. Sorry, talk to any biologist and they’ll say the same thing. It has nothing to do with Jesus or the Bible–I know this gives many believers a migraine, but evolution is as established (“proven,” in laymen’s words) as anything in science. I do not, for the life of me understand why Christians–or any others–would want to argue with evidence. Where is your proof of Evolution? Evolution has been disproved many times over. nowhere does it say man or plants or anything else evolved. The fossil records do not show any evidence to support evolution, and there are many fossils that have been studied by top scientist in all fields. Your “Fred” is buried in the sand. Who wrote the bible? I think most religious people have an incredible problem with time: We’re not talking about thousands of years…were talking about billions. Wake up religious people, organized religion was invented by powerful men to retain their power and wealth and control the multitudes. We hardly need it anymore as we have more than an adequate police force to handle this matter. For goodness sake try looking and seeing!! “Dis-proof” requires contrary proof, not disapproval. Evolution is simply a scientific explanation of how all things reached Now. Architecture has evolved. Engines, government, metals, ideas,… All benefit from the negative force of fitness. Suggesting the bible as history or representing history is mindless. The Rosetta stone, a business artifact that taught us to read mountains of Egyptian documents, “disproved” many biblical facts. No Hebrew slaves, no parting sea, and the 603,000 who defected in (Exodus 12:37) exceeded the entire population of the area as identified by tax documents of the period. It scares me that there are people like Fred walking among us. It’s obvious that what you don’t know and understand can fill warehouse, but it’s painful to see it on such display where anyone can read it. Here’s a challenge for you Fred: Try putting down your “Goat Herders Guide to the Universe” written by unknown authors during the Bronze Age and try reading something a little more current from some of the greatest scientific minds of our time explaining evolution in detail. There are dozens of different books on this subject appealing to varying degrees of intellect so simplemindedness is not an excuse. I even found one targeted at ages 5 years old and up so I know there is at least one out there that will work for you. Fred, how old are you? The reason I question your age is because I can’t believe a grown man would have responded with The Holy Bible Says “In the beginning GOD created..” as part of your reasoning for why evolution doesn’t exist? That kind of infantile circular reasoning is what I would expect from a child whose critical thinking skills haven’t yet developed. It also says that god rested on the 7th day as if such an all powerful being would need a day to rest up from creating the universe. How do grown people believe this crap? It’s called mythology Fred and most people with a double digit IQ realize this. I know this may come as a shock Fred, but we no longer live in the dark ages or during the time the Bible was written by superstitious human men and thus subject to the interpretations, impressions and perspectives of their primitive and often politically motivated authors. In the modern world we no longer believe in a god of the sun, the moon, the harvest, fertility, rain, or the sea. We don’t see omens in an eclipse, a flood, a storm, a snakebite, or a drought. This falling away is due to our better understanding of nature than that of our ancestors, made possible only by the advancement of science. We have gone to Mars and beyond, discovered we are but one of hundreds of billions of galaxies in the universe with each containing billions of stars. We have decoded the secrets of our own DNA, split the atom, transplanted hearts and cured numerous life threatening deceases around the world. All of this is due to the minds of science. I feel sorry for people like Fred who deny themselves the opportunities the information age has brought us simply because their dogma conflicts with reality and their belief is more important to them than their education. Sadly, too many adults choose ignorance as a lifestyle and close their minds to anything that threatens the delusional world they have created for themselves. Raising faith above rationality, superstition above science or belief above evidence is not something to be proud of. Well said Michael, The bible is nothing more than a book of fables! The Creation Story in Genisis is an Evolutional Journey of this planet and how we came into existence. Open your closed minds. The Bible and all “Holy” books were written by men to serve their purpose. So at the least, believe in a Creator that is an even Greater Scientist that we are all striving to be like. Evolution has been proved over and over- never disproved. The fossil record and the fact that we even have the same DNA even as plants proves it. What I learned in comparative anatomy is that we have the same bones and muscles as all other mammals. Why would god create us as bipeds and give us the same muscles and bones as quadrupeds since it causes us so much back problems? Isn’t god supposed to be perfect? Why would he make such a serious mistake in design? The only intelligent explanation is that we evolved from quadrupeds. Anyway, I fail to see what any of this has to do with Gundry. And if you reject everything anyone says because they believe in the fact of evolution you’d better stop going to your doctor. All I can do is laugh at this statement. Brendan Sexton, Nothing about ‘evolution’ has been ‘proven’ or has any evidence.’ Don’t you remember…its called, ‘The Theory of Evolution.’ I can’t remember when I ever saw an animal or reptile finishing out its last stages before becoming a man or woman or something other than what it currently is. Where’s your proof ?? Besides…evolution violates your very first principle of science, which says that you can’t get something from nothing ! I have tried the food plan Dr. Gundry recommends and have had amazing results. Not sure of all the research sited as wrong or right but my results are real and continued to improve! Lost over 30 lbs., gained energy, and my pain levels from arthritis has greatly DECREASED! Maybe the negative voices need to try the plan before they discredit it. congrats neil! my husband has lost 96 pounds and is off his diabetes and diuretic meds. I have lost 110 pounds, and am finally pain free.. off all over the counter ibuprofen, tylenol, naproxen, etc… We have such great energy! Plant Paradox is amazing!! I don’t understand why the word “evolve” has such a negative influence on some people. One’s thinking can evolve or change. As a Christian, it is okay to use the “e” word and not fear damnation. Thank you Neil. While Gundry might not be “on target” with everything he promotes, I think he is inside a circle of “goodness”. A lot of his ideas seem to help a lot. I’d suggest real low acid foods to help everyone. Veggies include broccoli, cauliflower, asparagus, deseeded and deskinned zuccini, brussel sprots, cabbage, other crucif’s, no root veggie’s none (carrot, beet, turnip), real low acid fruits like Pears, maybe only pears, cut out the beans and nuts, and really, one of the best things you can do is eliminate any chocolate in your diet. Also, no night shades, and until healing is complete, get in the habit of peeling things. Sweet and regular potato is good, but only baked or boiled, and no skins until your 100% healed, then only occasionally. The root of this is GMO lectin CRY proteins, and it makes normal problems with lectins and aging much more of a problem. These cry proteins appear to not only affect the villi of the small intestines, but also the gastric sacks in your stomach that influence you bile production and hcl production, thus making fats and acids more difficult to neutralize and metabolize. This creates a calcium deficit in your blood stream, causing calcium leaching from your bones and teeth to buffer these non neutralized acids. Furthermore, there’s a downstream problem, non neutralized acid bath ,lectin soup now in your small intestines. Thus, further compromising villi functioning and nutrient absorption. This causes cronic inflammation by itself, and not accounting for the non metabolized proteins and fats that have now entered the blood stream because of leaky gut problems. Then you get those autoimmune food reactions, sensitivity to chemicals, depressed affect, brain fog, even septic shock, as the Candida takes over your gut. How’s your arm pits smell? This seems to be the #1 root cause, the proteins are neutralizing the ability of the gut to properly ferment other foods. What is the CRY protein acutally doing? And how is the peeling of veggies going to eliminate the calcium uptake problem? If you have resources I’d love to go read them. Thank you. Well said. ..I think everyone got a little off topic there. They go from bashing an outstanding individual to arguing about religion and evelution. Helloooooo. Way to bring it back to what we were originally talking about. I think the guy who wrote the article is young to understand what he is really talking about. Life experience plays a large part in mature thinking. These young doctors think they know everything when they get out of school. Just because they have brains, doesn’t mean they know how to use’em. But I’m with you on Gundry’s theory’s. agreed! seems that everyone bashing gundry has not tried the protocol. anyone with arthritis or immune diseases will benefit almost immediately by just trying it. you seriously have nothing to lose in trying it. What is meant when you state that non christians are intelegent, or some are? What does religious beliefs have to do with intelegence? And who cares about religious beliefs when talking about diets. Are you another one of those judgemental bible thumpers? I can tell you that age 55 I had never had a problem with my stomach until now and had gained weight was 140 at 5’2″ I was exercising and nothing would budge juice makes my tummy hurt so just because I was done and wanted to see I did Dr. Grundy’s plant paradox and all I can say is I am 124 lbs and feel great with my RA in check and I feel wonderful so you guys can say what you will but as far as myself it has been a great! I thought like many of you after I got my book, how in the world is everything I have ever thought wrong…well I have no idea but my experience has been so positive. I would suggest those of you who are speaking with no experience of even trying it his way maybe you should especially if your overweight. No one thing is for everyone so his whole thing is getting your gut clean as most of you are suggesting with juice so as far as I am concerned there is always more then one way to skin a cat. Juice has so much sugar even those you make yourself depending on he fruit. Well I am not here to argue or sy one way is correct I am only here to say it worked wonderfully for me. I am about to turn 56 look and feel great my stomach feels better so with that, everyone make up your own mind. Thanks for sharing your success story. We do have amazing self-healing when the body is given what it needs. What do non christians have ro do with this. Confused, Shirley! Not a reply directly pointed at you or anyone in particular, but what I read is a lack of currency in what religion and science really is and what the current facts suggest by either. Several write off the Bible as a fable and several poo poo science. Both are wrong and both are right. Science has manipulated fact throughout current scientific history and what was deliberately left out of the Bible is why there is o much doubt about the many miracles and historical stories. Today we know but seriously question and research what is the now medically known “God” gene. We also have a finite mutation that took place that does in fact suggest that humans were altered at a point in our time. One historical book removed from the Bible was called Enoch, it answers many questions that scientist today are either too scared to or inept to; or they are too politically directed to ignore facts. As for the Doctor in question, he is an easy read. He appears to base his own medical palmares on his ability to create a thesis that was not only early, but at that time, very un provable. Evolution is a very easy shirt tail to credit for mankind but when the facts become clearer and clearer, mankind was manipulated by something much greater than mankind. The earth really did have giants as written in many histories and hid by several sciences in time. I have personally been to the sandboxes in the Arab countries and America in general is quite uninformed on what has happened through time. America is also not very open to absolute education based on a shared fact of who or what was here before you and I. Try explaining the woodpecker who’s own tongue moves behind its skulls inside the skull to reach the beak, explain how that evolved or the blow holes of a whale when there are no evolutionary stages. No doubt, a domestic dog can be bred from a wolf, but too many pieces of the steps are missing from mans chain; yet to be discovered. Keep your mind open, as ones own eyes cannot see if their mind is blind. Thanks for your research, the info today is mind boggling. We just need to use common sense and think of what nature provides vs the state of the food world today. Yes, you are right, we can’t control everything we put into our bodies (sadly) but we sure can use wisdom for the most part. Blessings! Dr. Gundry explains the WGA vs. gluten in detail in his book. I think your skimming did not serve you well. Also, I think that it is important to consider that God, in his creation, designed plants with mechanisms to protect their own reproduction (for man’s good). For example, look at an almond, which has a seed that falls to the ground, with the seed inside. There are enzyme inhibitors that keep it from dying before spring. Because of those enzyme inhibitors in the skin of the almond, humans have a hard time digesting it. However, God also designed humans, who were smart enough to figure out that soaking an almond and removing the skin, allows us to digest an almond without the problematic enzyme inhibitors. Wow! Thanks for this excellent and scholarly review of a book that is obviously neither excellent nor scholarly. Keep up the good work! I did Gundrys diet in January,I lost 8kg and my type 2 diabeties was gone by week 3,you have no idea what your talking about. Thank you Michael Donaldson for your response to the book, The Plant Paradox. Yes, it sounds like a number of the studies are not well documented. I have hear from other sources that scientific study results can be manipulated to proved whatever the interested party wants to prove. I’m encouraged by the reminder that juicing and green smoothies can make a difference in my health. I especially like the green smoothies because they are less time consuming than juicing. When the green are blended instead of eating them in a salad, they are easier to digest, so more nutrition is being absorbed into my body. thank you for this information. I’ve read articles from Dr. G and seen some of his Youtubes, somehow it seems that something was “off”. I didn’t realized he claimed to be a vegetarian, but gave recipes that included meat, it was just something that didn’t seem Kosher. Again, thank you for this information. Absolutely. All we can do is try, and if it works, then great. If not, try something else. We learn through success and through the not-so-great results, too. he does not do this for gain of monies. Michael, This is Vickie Allen from the Juicing Study. I don’t remember why but I stopped reading his articles months ago. I am just glad that you validated what I was thinking. No pain but I have the Drs. baffled as to why one of my liver count total is remaining high. If a regular test it shows normal but when they to an indepth test, that one total comes back high risk even though I’m taking a liver cleansing vitamin. But by general Dr. says “not to worry”. Thank you for the article even though most was over by head but I got the general jest and that’s what matters. 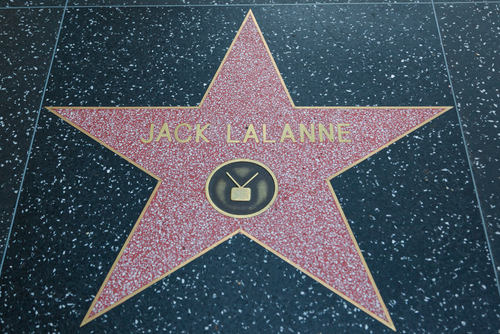 Blessings to the whole Hallelujah Diet family. Thank you Dr. Donaldson for your accumulated knowledge, research background & comments. You are a God-send to be on our side & watching out for us. We trust you & appreciate you. God bless you & your family. I read your critique with great care and now some apprehension…..very interesting!! Do you have any insight to his “Dr.G Diet Evolution” ? also with regards to the product “prebiothrive” and how it compares to what is offered by hallelujah diet and products? Thanks..would really like a reply.. The Prebio Thrive looks like a legitimate product. It is expensive for what is in there. At Hallelujah Diet we add prebiotic fiber to our Advanced Superfood and Essential Protein powders. It is the cheapest part of the formula. Agave inulin, and acacia gum in both, and chia seeds in the protein powder. But our formulas don’t stop with prebiotic fiber. Feeding your gut bacteria is critical. Beneficial bacteria thrive on plant fibers, gums, and resistant starches. Eating a plant-based diet does feed them well for most people, but some people need more help to regain balance. Dr. Donaldson, will you comment on Dr. Gundry’s statement that we should use a pressure cooker when we cook beans so that the lectins are rendered harmless (or maybe they are just diminished in their ability to hurt us–I’d have to go look up exactly what he says, but I don’t have the book in hand at present). Thank you! Very true..plus what effect does medication have on all this? 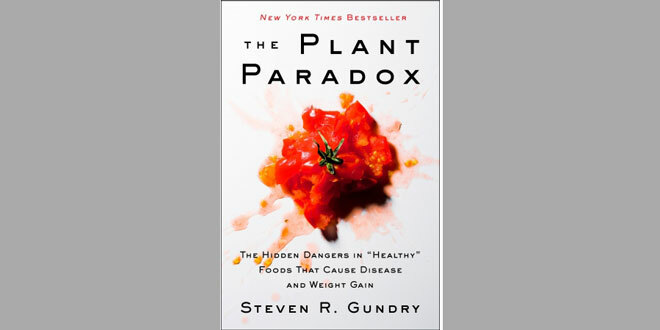 Thank you so much for doing the research–and sharing the results thereof–on “The Plant Paradox” by Steven R. Gundry. It saddens me that so many people will purchase that book and will follow the advice of Steven R. Gundry simply because the cover of the book states that it is a New York Times Bestseller. Unfortunately, a best-selling book does not mean the book contains accurate information. I did Gundrys diet in January and lost 8kg,my type 2 diabeties was gone by week 3 after almost 10 Years,pull your head out of the sand. I have found that “Juicing” is very time consuming and adds quite a bit to the grocery bill. For both reasons, many people let it go by the wayside. However, it may be the best thing we can do for ourselves. Recently, I started using cabbage in my juice which is always reasonably priced and easy to prep. I would love to hear what others have done to maintain a juicing regimen, especially if they get up well before dawn like I do. And, by the way, I LOVE my Green Star Juicer. I feel so very blessed to have it. If you can, incorporate red cabbage as much as possible. It’s slightly more expensive where I live but well worth the added brain health for longetvity. What a great idea to use purple cabbage. I just ate a big wedge of cabbage that I brought to work as a snack. And by the way, when one cuts out most sweets from their diet and limits fruit, cabbage start tasting like candy. Excellent article that explains the TRUTH, Dr. Michael! Even if Dr. Gundry is correct is some of his ideas on leptins, the answer is to consume more proteases that are found in certain plants as in pineapple and papaya. If those are not available, then taking digestive enzymes is the next best bet. Keep up the good work. My husband and I have been following Plant Paradox since April 8, 2017. We take the prebiothrive, primal plants, and vital reds everyday. I have lost over 100 pounds, and my health has vastly improved. My husband lost 85 pounds, and is off his diabetes and diuretic medications. I know that he is real “wordy” in his books and it takes some time to read… BUT, the results are amazing! Yes, it is a very restrictive diet… but, I have lost 100 pounds without exercising yet! This is all from following his eating plan! I have been on and off diets my entire life. I have tried everything twice! Dr Gundry was my last ditch effort before gastric bypass consideration. I am very grateful to have found him! I will not be discouraged by your article/blog as I am LOVING the results of Plant Paradox! I have clients who have asked my how I have lost so much weight.. who have also started Plant Paradox and cannot believe their own results! I hope a different perspective will help one of your readers who may be ready to just give up… as I was. Coralee, Thank you for your testimonial. I read your testimonial and I’m in awe. I started reading his book and I’m very interested in knowing how you did it…can you please email me at zsesteacher@aol.com. Thank you so much for the info!!!! Maybe you could tell us all what foods you included and excluded. Congratulations for no longer needing OTC meds. We are so happy that our tastes have evolved.. and we no longer have any of our former (unhealthy) cravings. and for that, I am so grateful. I am also so grateful to be pain free without taking medications! I bought flowers and dirt for the first time in FOUR years to plant around my house! I know that may sound silly to some people.. but, it can bring me to tears.. happy tears! Thanks for the explanation! What a wonderful inspiration you are. I love the part about snacking on nuts. They are the perfect snack. And thanks for the salad dressing recipe! Wow, no wonder you are feeling so good. I watched the video. Certainly a lot of clever selling and probably a bit of “interpretation” but I find the message to be very interesting and sensible. So I am not surprised it can help. Hello, thank you so much for your post. I was intrigued by Dr. Gundry’s information, much of it did make sense. I am 50 years old and have been dealing with very painful Rhuematoid Arthritis; as well as low energy, restless sleep, digestive problems, etc. I almost have not energy or desire to make the changes needed, but am praying for strength to do so. I appreciate your comments, as I don’t see why some of Gundry’s suggestions, and some from this site. Thanks Coralee for your input, like the people that have replied to you above, do you think you can email me and share more? of course I will email you! I KNOW that feeling of low energy and I also thought “why bother? It probably wont work anyway…” I was THERE! but I watched his video. I read the book. and it made sense to me.. well, I skimmed parts of it.. but, I had already read Diet Evolution, Dr Gundry’s first book. I did order the prebiothrive.. which I thought was the magic elixir that took away my appetite and cravings. But I have not used his products since dec/2017 and I am still doing well! When people ask me ‘what’s my secret?’ and I start to tell them about my eating plan.. I SEE their eyes start to glaze over… and the wave of regret for asking me! But, I have also had several people buy the book and follow the program with fantastic results! One friend kept saying that it didnt work for her.. but then she also confessed to eating pizza, icecream, fruit, etc… I told her to give it 2 weeks.. commit to 2 weeks, and most of those cravings will disappear. It truly is amazing.. There is also a facebook page that is a wealth of information, well it is a wealth of information for me.. it has recipes.. suggestions.. it made this process a lot easier. Coralee, thanks again for your testimony. I appreciate your real-world results. I think most people will get better without Dr. G’s program, but some autoimmune disorders leave few choices. Congratulations on your diligence in sticking with a difficult diet and speaking up. My guess is that Dr. G gets some results, but the explanation for them is just really off. Lectins are not black and white. Some are beneficial. The lectins seem like a selling point, not sound science. I have to admit that I found PP rather wordy too. I skimmed some of the science. I have a bachelor of science in PE, an associate of science in PT.. and it took me awhile to get through the first few chapters. I felt like I had to take notes! BUT, it works for me. and my husband. I’ve lost 110 pounds now! Energy is high! Appetite is low! Still off all over the counter meds.. NO PAIN. and a few months ago, my paramedic husband had to drag me out the house in a wheelchair because I was in too much pain to walk!! I am over 50 years old.. and have been on diet after diet.. this does not seem like a diet. I don’t even like calling it that. it is a eating plan/lifestyle. To me, the actual explanation of why we should avoid lectins makes sense. It makes sense to me because avoiding them has worked for me and many others. I appreciate your being open to hear our results… thank you. That’s a factual testimony. Thank you Michael. We’ve read this book twice. Started gently adjusting our diet first. Than taking vital reds every morning, or even every second morning with great pleasure. So far so good. I look great, almost 15 years younger, feel great, my joint pain is easing, with the quality of my bowl movements I would win a competition… 😉 My hair is stronger, my nails beautiful. I feel energy and I sleep like a baby. My husband stopped his blood pressure tablets, lost some weight. Still it’s more to do, as we just can’t stick to Dr Gundry’s diet so easily. Time and our improving health will tell us mor as we go. Please, be open minded and question scientists. Specially watch what and how much you eat. FINALLY! Someone who actually knows what she is talking about. Thank you for your informative response and congratulations! I get so tired of christians hating on people for not believing EXACTLY what they believe…you are a breath of fresh air. Ok, so Dr. Gundry has an MD and you have a PhD. Long story short, this means that Dr. Gundry is someone who is actually in the real world applying his knowledge to actual real patients. A PhD is someone who sits in a classroom and pontificates about his very narrow field of knowledge. A PhD is someone who is paid to conduct myopic research and publish in peer-reviewed journal articles, but to do so they need to often focus on minutia that only those relative few in the field actual care about. Often PhDs work toward advancing THEORY which may or may not have real world applicability. MDs focus much more on real world application. They do not necessarily focus on trying to get peer-reviewed publications in an effort to get tenure so that they can then basically retire at the age of 40 and hit on the young coeds. MDs, especially one of Dr. Gundry’s relative fame, do have a practitioners license they need to protect. PhDs have no such license or official certification board such as the AMA. So, based on only such variables I’d say I’m better off trusting an Doctorate of Medicine (MD) than a Doctorate of Philosophy (PhD). I’l also add that a significant portion of the peer-reviewed literature is garbage. It’s rehashed stuff in an effort to get publications. At tier one universities professors are expected to publish at least twice a year in peer-reviewed journals, so they cut corners and find ways to rehash, reuse, or simply add a twist in an effrt to get a publication. It happens in both qualitative and quantitative research. In addition, about the “successful defense” of the dissertation. Often, at that stage of the game, the defense is a mere formality as the doctoral committee has pretty much already signed off on it and the actual defense is merely a right of passage scenario. Thanks for your insight Leslie, this makes sense as well! Maybe instead of approaching the argument form the standpoint of authority(which unfortunately the author of the article has as well by invoking the Bible), you could address the specific points the author made regarding very specific points in Dr. Gundry’s book. As an atheist, a reference to the Bible as an appeal to authority is a major turn off for me when reading an article, but I like to give people the benefit of the doubt, and the points the author makes are very specific and make me want to do my own personal research on those points. This does not necessarily mean that none of Dr. Gundry’s ideas are valid, the point of the article is that due to poor use of information and research, his claims can be viewed as dubious. That moment when someone quoting the Bible feels more trustworthy than a doctor referencing studies by providing good points based in logic, rather than faith. Thank you Leslie, that’s make sense. By the way, you always need to question everything. Amen and amen. I am a Christian and still prayerfully consider Dr. G’s plan to be a lifesaver. I have rheumatoid arthritis, osteoarthritis, and fibromyalgia. I am on opiods and was still in constant pain. After a couple of months on the diet, I have greatly reduced pain, am coming off the pills, have greater energy and am approaching normal weight. I don’t know why the diet works, but I know Dr. G has seen it work in practice over and over again, and though the reasons may not match the studies, I will stick with it even though it is a bit inconvenient. Yes, everything is (was) clean for us to eat at Peter’s time, but with GMO’s, pesticides, fertilizers and the Lord knows what else is happening to our food supply perhaps not everything is as healthy as it used to be. Also, where are the peer reviewed studies that show that juicing, and green smoothies etc. are the way to go? I know an answer to prayer when I experience it. Don’t pooh pooh Dr. Gundry because you are jealous. It is not becoming. I am a Christian and believe in Creation and that God made plants for our good. When I was given this book by my chiro who is helping me and my husband get through some health issues, I took it home and dug in. The first thing I noticed is Dr. Gundry’s several references to evolution, and “400 million yrs ago…” so I knew that the book was not going to have God’s truth stamped all over it BUT I decided to read further knowing that even non Christian scientists and researchers can have valid information. They just give evolution the credit and not the Creator. I read through the first few chapters, thoroughly trying to absorb the process of how plants give off lectins to protect themselves against prey and how lectins can harm our gut, resulting in health problems. I also read about the trillions of bacteria and organisms we have in our intestinal lining, on our skin, and in the air around us that can help us combat certain lectins (sounds like God right there). Dr. Gundry also addresses how the FDA labels on meats can be misleading and how grass fed beef if the best for us. He explains how animals that are fed soy based and corn diet are harmful to us. He is not a vegetarian nor does he promote a primarily vegetarian diet as you have stated above. Your article is disappointing to me because you seemed to have skimmed through the book and quickly dismissed any pertinent truth because of the fact that the author is an evolutionist. If you were trying to disprove any of his scientific data he collected, you did not have a strong argument at all. This guy (believer or not) has been in the medical practice for years and years and has had real breakthrough and answers for his patients. All you keep saying is “I don’t know if his stories are true or not”. Your argument is all your opinion. Do you think you could come up with an actual real argument and thesis based on relevant scientific research that supports the fact that God did create plants for our good and maybe what lectins actually do and the real answers of how the Creator intended this to all work?? Try again sir. Most Creationists are aware that scientific evidence actually supports Creation. So find it. Why did God create lectins at all? Did this all start after the fall of man? How about having a real medical doctor/naturopath who has studied nutrition for years and years and has treated patients, and performed surgeries, and worked in medical laboratories actually write the article to make the same point you are trying to make, that is that Dr. Gundry’s Plant Paradox is wrong. Amy, I am sorry to disappoint you with my article. I tried to verify what I could as a scientist, that is all. It could be that he is a good doctor but a bad scientist. Dr. G disappointed me with his use of the facts that could be independently verified. I don’t think his program is for everyone. True, I also believe that if people are healthy and fit without any medical conditions that they know of, then Dr. Gundry’s plan is not for them. They’re very fortunate with great genes. Most of us are not that fortunate and our lifestyle and the foods (mostly unhealthy) we’ve been accustomed to eat over the years has caused us to develop health problems and weight gain. After reading how all carbs and sugars even in small to moderate amounts are just causing so many problems in our health, l don’t disagree I’m willing to try his diet evolution plan and see if it really works for me. Obviously, my diet of whole grains, fruits and veggies and low fat is not working even with added exercise. I’m prediabetic, overweight with high cholesterol. Worth a try. There is also several facebook pages that have been a great help to me. Some people have been on the diet evolution and then transferred to the plant paradox when it came out… so they have been doing this for years with amazing results. I hope you gave it a try.. keep us posted! And your comment is dissapointing because you seemed to have skimmed through it and quickly dismissed any pertinent truth because of the fact that the author is a creationist. Granted, I wanted to do the same, but I continued reading. He provided specific references the doctors book and then references to the studies. Not true. The author made specific points, and if you do not know what they are, I’d be happy to point them out. All of those quotes have links to studies, articles. So while the author may have an opinion on Dr. Gundry(and so do you, everyone has an opinion), he actually spends the effort to try to justify it. I guess you are just trying to push your own Hallelujah diet. I finally found the perfect Dr. Gundry’s diet. So Amy, tell me, how old is Earth, our solar system, the universe? I’m SO grateful to finally read someone who has the epistemological chops take Gundry to task on his cynical, cavalier, reckless approach to certain key points of his radical diet hypotheses. Thank you for your input and perspective. I don’t want to run down anybody’s name, but just to steer people towards the truth. There are contradictions among most medical studies. One study says this is good, another study says its bad – both studies by credible people / institutions. This fact is a challenge so yes, its hard to know who’s guidance to follow. My experience tells me that “inflammation” is widely agreed as a health problem, certainly in Heart Disease. Inflammation is caused by the Immune system. It is the immune system that rejects for example a transplanted organ thinking its a foreign object. Dr Gundry holds the record for the most child heart transplants and the longest pig to baboon heart transplant. As he says “I know how to fool the immune system and I know how it is fooled”. This is in reference to Lectins. In this regard, I find the credentials of Dr Gundry not only impeccable, indisputable but more importantly, directly related to the subject matter in hand. He is incredibly qualified to make the points that he makes. While I agree with a few points of the blog, there is no question folksy Dr Gundry needs a marketing makeover and to tighten up some of the copy and presentation. I’ve read a lot on health, diet, supplements. I got my LDL down from 114 (not too high) to 52 with supplements and no statins. I follow diets 100%. I have switched to Dr Gundrys diet. He actually got me off 100% vegetarian to now include wild Salmon. His lectin restrictions are not too bad at home, using a pressure cooker etc, but hard in a restaurant. So I’m cooking a lot more at home now. I do welcome a sensible counter argument. “First, in the Introduction, page xi, I came across his referral to gluten as a lectin. Gluten a lectin? That was a new one to me. So, I went to PubMed and checked it out. Here I found a reference to a study that examined lectin activity in gluten. It turned out that “Our results indicate that the lectin properties of gluten are due to traces of WGA.” (Pubmed #3839672) WGA is wheat germ agglutinin, a lectin. Well, how about gliadin, a component of gluten complex in wheat? Maybe he meant gliadin? Another study showed conclusively that, “Gliadin preparations failed to cause agglutination of any of the cells tested, whereas established pure plant lectins were active cell agglutinins.” (Pubmed #3709069). Conclusion: gluten and gliadin are not lectins. If you claim to want sensible counter arguments, then you should consider these as such and provide your own sensible counter argument if you think otherwise. My full trust is in Dr. Gundry. Thank you Dr. Gundry for my new vibrant health. It is clear what is going on: Dr. Gundry, who successfully transformed his own health, linked up with Anthony Robbins. Next thing you know we have products to sell, books, an entire Dr. Gundry industry. Dr. Donaldson pretty much trashes the research behind Gundry’s new empire. Get the marketing machine rolling! The next Nutri-System (which I tried. There is a reason it works, the food is awful). Remember Billy Banks kick boxing videos? Dr. Gundry will someday be on Dancing with the Stars or the ex-President’s Celebrity Apprentice, season 6. With his diet programme that is improving the life of thousands. I bought his book. and I did take the prebiothrive for several months. but, I don’t buy his products anymore. And most Gundry followers that I know, do not buy his products. I DID think they were the magic elixir that was decreasing my appetite and increasing my energy… but, since I haven’t used his products since Dec/2017, I have come to a different conclusion. it is the actual food I am eating(or not eating) that is giving me my results!! caroleee I tend to agree with you. I have followed Haylie Pomroy’s Fast Metabolism Diet since January 2018 and experienced a marked decrease in chronic pain. And have lost 30 pounds. and who’s to say I can trust YOU?? I’m not doing the Bacon Experiment by Dan Quibell and feel healthier than ever! I was listening to Dr Gundry. Sounds good and waiting for info…but I recall listening to a financial genius 10 years ago who kept promising and circling until I fell asleep and woke up and he was still talking and never communicating. Maybe it works and maybe not. If it does cheers to all. But selling books…i’m not interested in internet sales. You are not interested in internet sales…. So sad you can buy Coca Cola, cigarets and all pain killers in the shops. It works and it works quickly. Michael, it appears you did not read the book in its entirety. I think that’s unfair. I am a creationist and agree with you that Dr. Gundry is incorrect in his evolutionary arguments, especially where he implies that plants can think. But I actually see God’s design in this book, even if Gundry doesn’t. For example, Gundry argues that we humans were not meant to eat fruit year round. Doesn’t that scream creation to you? He explains that in order to eat fruit year round, fruit must be picked unripe and then injected later to make it appear ripe. He also argues that when we eat fruit, that signals to our body to store fat, because fruit is meant to be eaten in the summer and storing fat prepares us for the upcoming winter. All of this is a beautiful explanation of God’s design. Can I ask you a favor? Would you consider reading the entire book and then writing another review? Whether your review is positive or negative, I think you should read the book in order to give it a fair shake. FWIW, I have not yet tried the plant paradox diet, nor have I tried his products. I’m almost finished reading the book and find it incredible intriguing. I’m strongly considering it seeing as I’ve tried everything else under the sun and nothing seems to work. I’m only 34yo and have struggled with health issues since high school. I’ve seen doctors in many states, including MDs, NDs, chiropractors, etc. Ive just found Dr Gundry half a year ago. I’m 58yo and I have nothing to loose by experimenting, but what I want to tell you that’s this diet and vital reds works for me with a great results. Try it gently and observe results. I did Gundrys in January just gone,lost 8kg and my type 2 diabeties was gone by the start of week 3.Follow Gundrys book and you won’t be dissapointed. Why are you Yanks banging on about religion?Its about personal health.I started Gundrys diet in January and lost 8kg (just under 20 pound),my type 2 diabeties was gone by the start of week 3.The only way this diet won’t work for you is if you don’t follow it.I believe 4kg a week you could loose if you follow it to the letter. Seems to me that regardless of specific diet plan, if a person goes from eating a SAD diet to a plant-based diet, avoiding processed foods, sugar, meats and dairy, they will enjoy improved health. Thanks Martin. Excess sugar is one of the worst culprits to health. I like his prebiotic supplement, its helping me a lot, but Im glad to have the information provided re his poor use of “science” to support his claims. I’m trying to learn, so are lectins bad? should we be pressure cooking? (not natural), soaking, peeling? or even juicing?? whats natural about juicing? Why are humans in such great need to be educated as to how to eat? I am a 57 year old male and am 6 feet tall. When I started taking the prebiotic supplements just 3 weeks ago, I could not tie my own shoes without problems breathing. I weighed 215 when I started and have now lost 18 pounds. I plan to lose another 9 pounds to get to my target weight of 188. I have not exercised while on the diet. I have stuck to the menus recommended, and have learned to enjoy healthier foods. I still drink as many Coors lights as I want every day. All I have to say is… Why don’t you try it first and see if it works for YOU!? If the diet helps, congrats and keep riding it. If it doesn’t, then so be it. People who have gone this far to look for a solution for their personal body issues have came across Dr. Gundry through their research. No religion needed to try and stay healthy. he and his partner, Leonard Bailey, pioneered infant and pediatric heart transplantation. Together, they have performed more such transplants than any other surgeons in the world. pioneered the field of xenotransplantation, the study of how the genes of one species react to the transplanted heart of a foreign species. one of the original twenty investigators of the first FDA-approved implantable left ventricular assist device (a kind of artificial heart). Dr. Gundry is also the inventor of the Gundry Ministernomy, the widely used minimally invasive approach to aortic- or mitral-valve repair, the Gundry Lateral Tunnel, a “living” tissue that can rebuild parts of the heart in children with severe congenital heart malformations; and the Skoosh™ venous cannula, the most widely used cannula in minimally invasive heart operations. Dr. Gundry received early FDA approval to use robotic-assisted minimally invasive surgery for coronary artery-bypass and mitral-valve operations. holds patents on devices for connecting blood vessels and coronary artery bypasses without sutures, as well as for repairing the mitral valve without the need for sutures or a heart-lung machine. two successive elected terms as President of the Board of Directors of the American Heart Association, Desert Division. and the College of Chest Physicians. author of more than three hundred articles, chapters, and abstracts in peer-reviewed journals on surgical, immunology, genetic, nutrition, and lipid investigations. Inspired by the stunning reversal of coronary artery disease in an “inoperable” patient, using a combination of dietary changes and nutriceutical supplements, in 2001, Dr. Gundry changed the path of his career. Dr. Gundry founded and has served as Medical Director of The International Heart and Lung Institute in Palm Springs, California, which serves patients referred from across the nation. Founder and Director of The Center for Restorative Medicine, part of the Institute. Its mission is to prevent and reverse the chronic diseases of “ageing” with diet and nutriceutical interventions, using surgical intervention for heart and vascular disease as a last resort. I spent about 20 minutes listening to Dr. Gundry’s video. As many of us I probably started doubting the world and anything around me. It all sounded so reasonable and amazing. I frantically started thinking: OMG, I need to change my diet NOW, how much food with lectin do I eat, etc. THEN I came to the part where Dr. Gundry said: BUT you can eat all this food (except legumes, eggplant and soy beans) IF you buy my Lectin Blocker (or whatever it was called) for $80 a jar, and this is where I quietly closed the video. Yet another buy my product marketing scam. Newsflash people, most diets will work if you stick to it, so is his diet. You stick to it, you feel amazing, you fall off the wagon you will gain those pounds quicker than you will be able to say Lectin. But just like any diets, you eliminate certain foods and you start lacking certain nutrients and you will feel it too, later but you will. Human diet should have variety but everything in moderation. Look at Mediterranean diet: pasta, zucchini, eggplant, legumes and somehow considered one of the healthiest people on this planet. Blaming health issues on one factor is stupid: it is different for everyone, but staying active, eating healthy and variety of foods is a part of it. I understand everyone wants a quick way to fix everything, but for the love of God do not fall for these $80/jar marketing scams. Most diets work to do what? Maybe you need to refine your definition of a proper diet. The focus Of a diet should be your long term health, not losing weight. Such a diet will bring your weight to a stable healthy weight. Why is it such a stretch to think that God built-in the ability of the plants and animals he CREATED to EVOLVE as times changed?—-for better or for worse? Wow! I thought Gundry’s claims were a bit exaggerated but yours are seriously worse. First may I ask what nutrition has to do with nutrition other than the Cartesian Great Chain of Being!! ?? (Which is an egotistical load of hooey!). Second your information on peanuts is DANGEROUSLY wrong. Gundry might have misattributed things to fit his idea, but peanuts have an antigen in them that creates or intensifies allergies… and not just an allergy to peanuts. Any allergy. Then there’s the fact that aflatoxin, more carcinogenic than PCBS grows on them (and corn) so much so that every truckload is tested. There is a maximum allowable limit, but like lead, no amount is safe. Maximum allowable limit is like Russian roulette. IMO your propaganda against Gundry is worse than Gundry. I do not consider Dr G or the bible a wise choice for my nutritional guidance. Judging by the comments, many of you do. Personnally, I do not care how much weight you claim to have lost. I am not overweight and very happy following the latest evidence from valid research. Oh brother there are many on here who buy into the evolution lie? Once upon a time long ago there was nothing. Then this little itty bitty dot appeared out of nowhere. The dot somehow contain all of the matter in the Universe and decided to explode!! OUt of the insane explosion over eons of time stars formed, planets, and so forth!! Magically violated all laws of science and thermodynamics!!!! POOOOF here we are!! I call BS on evolution the biggest lie ever told! So, Larry, how did God do it? I wish my long-term health, thus my diet, to be based on science, not the bible, public opinion or unsupported opinions of personal experiences. The most difficult part is that nutritional science is many decades behind the curve. There have been many roadblocks, including money, government and popular food addictions. I really do not care what badly impacts 3% of the population. I am interested to know exactly what increased my chances of having a healthy old age. I am not really concerned with what people ate 10,000 or 100,000 years ago because the food today is not very similar. Meat and fish did not contain the toxins, antibiotics, chemicals and plastic that they do today. Food has changed significantly in the last sixty years with more sugar, starch, fat, salt and processing. Red meat and chicken today have more fat because of the way they are fed and live. Well, this makes my head swim (no pun intended?) reading all this impressive form of diety envy. God gave us everything except science and intelligence? So do we worship God or Scripture? Even the latter has a few things to say about that. For my belief system, it was not a book on the cross. Frankly, I love the scriptures, but not more than God. If the scriptures are perfect and without error, then it is equal to that which is perfect? Do we idolize scripture? Is idolizing how we got here really that important to the whole scheme of things? If I found out today that theory I believe in was totally disproved it would not change me one iota. Why? Because I do not worship how I got here, I’M HERE, period. Now what do I do? Try to continue to prove how it happened? Look in the mirror. Was it mud or mayhem? The fact of the matter is, beyond grandiose statements that are contingent on other grandiose claims, WE DON”T KNOW! As soon as one of you can build a perfect cell, try an amoeba, that should be easy, and don’t give me any of this cloning cheats, start with your own stuff! Do it in your kitchen. As soon as you do that, I will believe you. If you know so well how it is/was done then DO IT! Help us solve this so we can get off the pot! Otherwise I’m going to spend some time in what I do know, there is a world out there that is dying and needs love and compassion. The doctor did the unthinkable: He did not use the scientific method. If had followed the rules of the method, he would not have faltered as badly. The intention may have been noble, but we are not lions, dogs, apes; we are human. If we are God incarnate, then all the answers are within our makeup, except for those born with abnormalities. When we break good tribal traditions that worked for 1000 years we run into trouble because new inventions in food science (like Fritos banditos) were not part of nature. I am a Christian and have listened to Dr Gandry many times and read Plant Paradox. I hate when he goes on about evolution and such, but, he seems to be pretty intelligent still. I am starting the diet this week for my very painful RA and want to come off the immunosuppressant drugs. There’s hardly any testimonials of healing RA on the HD. Not talking about other types of arthritis…just RA…yes I read Rhonda’s healing and the daughter of Peter’s wife who had RA. Wish there were more. I’m very curious if this diet works for RA as he states. Thanks Shirley, I hope you see tremendous results! As I read information on Gundry and Donaldson, I find elements of bias in both their comments. I can see that the efforts to center one’s diet on a more plant-based approach would benefit any serious person seeking better health options. However, that point alone does not validate the research inefficiencies noted by Donaldson. My Christian experience (I am a Christian pastor) does not in itself validate my dietary approach although I do experience a conjunction of experience and understanding through both. May I suggest yet another reading to compare entitled, “How Not To Die,” by MD Michael Greger, who offers a research-based approach to eating a totality of the plant world and indicates the advantages of that approach. A happy and healthful journey to all. In the beginning, man lived longer until MEAT was added to the diet. But, we have evolved… and we are evolving in the sense that our bodies adapt to our environments. It’s been proven on Survivor when an older Vietnam vet was able to drink water that had not been boiled. Everyone else got sick but not him because of his time in Vietnam drinking water that was not boiled. He built up immunities – in the same ways we are inoculated to build up immunity against certain diseases – and in the same way we build immunities socializing with people and animals. Not everyone seems to be able to do this however. Some people for “whatever” reason get sick and don’t evolve. Are scientists adding NEW things that are making us sick? New things in terms of chemicals that resist pests and allow us to grow more food? The problem could be that WE OVEREAT, we don’t balance what we eat – we eat TOO MUCH – which make our bodies react even more strongly and don’t allow our bodies to adapt and evolve to the NEW chemicals/ingredients being added. I don’t think we have EVIL scientists, I hope that most of them have our best interests at heart but GREED for more profit as well as GREED in consumers diets is not producing a healthy evolution in our society. I very much appreciated your analysis of the poor use of references (bordering on fraud imo) by Dr. Gundry in his book “The Plant Paradox” that you reviewed. It has saved me from doing the same, or wasting another 4 milliseconds on his sales pitch. I sympathize with your having to read mocking comments based on your Biblical beliefs. People have poor understanding of how science works, and simply regard any religious belief as anti-science. I happen to disagree with many purely Biblical points, but also point out to those people who mock belief in God (at least as a Causeless Cause) that argument cannot resolve the issue, as the two systems (Faith and Science) are orthogonal (no parallels, except, perhaps at the undecidable singularity of origin). So neither can prove or disprove the other; the good news being that someone with faith may still learn and practice critical reasoning. Best wishes in your continued pursuit of knowledge. However we got here, our intellect is ours to use as we may, and it seems yours is guided well. Wish all of you total blessings! Thanks Elliott. So odd that you wrote this. In the past week, I saw a friend in the grocery store that told me about the Specific Carbohydrate Diet and the success his wife had with it. I hope to read “Breaking the Vicious Cycle” to learn more. It makes since that certain foods hurt our guts and that we cannot heal as we should until we remove them. Thank you for taking the time to explain this information. You lost weight brother because you removed the overload on fast food and junk carbohydrates. Very simple. Glad it worked out. But losing weight is only the beginning. It is only the start of a marvelous journey. Eating all, and I mean all fiber foods is important to get a big spread of minerals. Then watch your tongue to see if it turns white or red. White if you are A, AB; red if you are O, B blood types. White means too acidic, and red means too alkaline. Like I said, it is just the beginning. One thing that drives me crazy are these info-videos that go on and on, promising some type of secret, but you have to watch 30, 45, unknown amount of video to get to that life changing information. And strangely enough, the videos are somehow constructed so they don’t let you fast forward – you must watch the entire video. Must be a psychological strategy that once you have invested 30 or 45 minutes of your time you are more likely to buy whatever they are selling? So, instead of watching the entire video I went to Mr Google, who brought me here. Thank you for saving 25 minutes of my life! That is so funny. I refuse to watch those type videos. I came here to read a scientific review and second paragraph quotes the bible. Seriously??? I’m out of here. This is an excellent article. I trust and respect Dr. Donaldson and am glad you put his name on the article. I suggest that every article you publish should have an author’s name and a date. Although the email containing the article is dated 9/7/2018, it is clear from the comments that the article was published elsewhere sometime before 9/6/2017, the earliest comment. Please give us the reference to the original publication of the article. Thanks. This blog first published on 9/6/2018. There have been over 205,000 views. Evidently, the lectin controversy is a very popular topic. If I were HA I would discontinue commenting. This commenting section is a zoo of idiots. It takes more ignorant blind faith to buy pseudoscientific evolution than believe in God and get on with your life. There is no science to it – no one was there, and it cannot be demonstrated scientifically. Evolution is an origin religion, that’s all – one has his right to believe anything he chooses, but one doesn’t have the right to call something science that they can’t PROVE. Science is provable in reality. That’s what science is. The boldfaced arrogance of morons spouting “science” in evolution, and mocking anyone who believes otherwise is rich with foolishness and pride. You claim to know everything and you know absolutely and precisely nothing, nor can you. You people are like a disease roaming the internet. The article was excellent, usual from HA. Wow, this article sure has a lot of comments! Thank you for clearing up questions related to lectins. That is a good point about grain, meat and cheese having lectins too. I had not thought about lectins being in the meat and dairy because of the grain fed meat. Sounds like it is almost impossible to avoid lectins since they are even in nuts, fruit and many vegetables. It is helpful to know that Michael Donaldson recommends the plant based whole foods diet regardless of what Dr. Grundy says about plant foods.